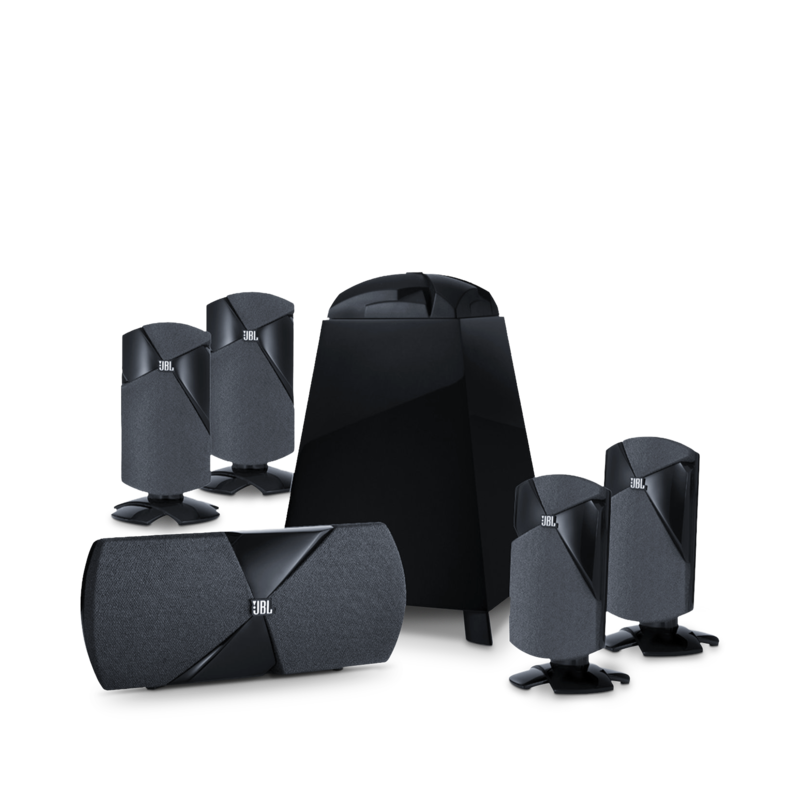 The JBL Cinema 300 home theatre speaker system delivers the full impact of a movie by immersing you in the action with four surround-sound satellite speakers, a dedicated centre-channel speaker and an omnidirectional, powered subwoofer. All of these components are engineered to work together and make your experience sound as epic as the action on the screen. Realistic, high-impact bass is the not-so-secret key to movie excitement. 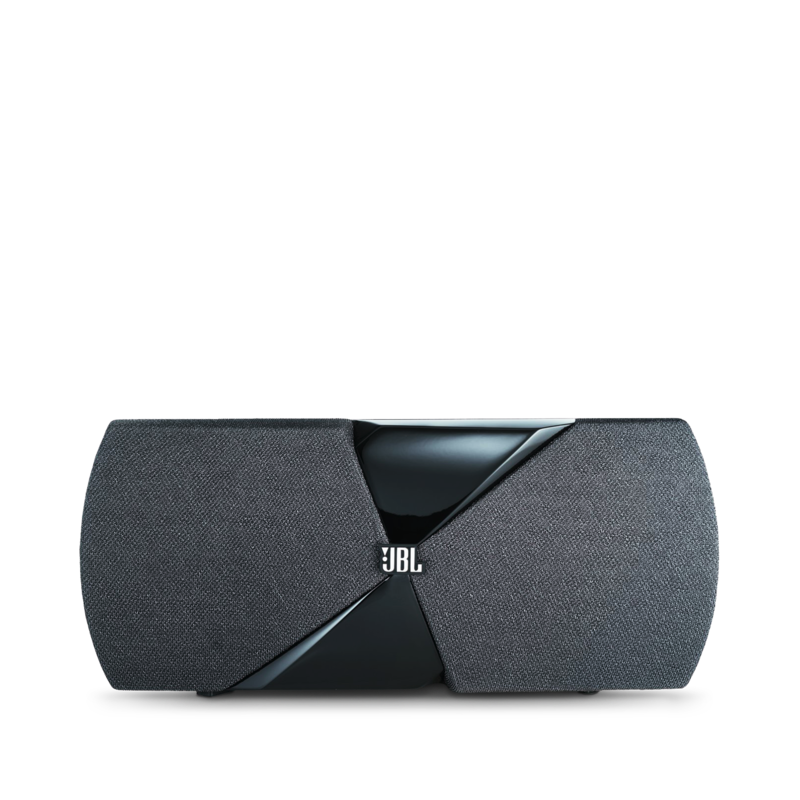 The JBL Cinema 300’s subwoofer features a fast-moving, 8-inch (200-millimetre) woofer and 150 watts of amplification for clean, lifelike bass. Subwoofer phase, level and bass-boost controls permit easy tuning of bass performance to suit room acoustics and your personal preferences, and line-level and LFE (low-frequency effects) subwoofer inputs ensure noise-free connections to virtually any audio/video receiver. The Cinema 300’s four identical satellite speakers are voice-matched to the centre speaker to ensure that sound remains consistent as it moves from speaker to speaker. This technology enables the Cinema 300 to create 360-degree surround-sound environments that create the experience of being in the settings portrayed on the screen. Dual-midrange drivers used within the Cinema 300’s most prominent speaker let you crank up the volume without distortion. Playback levels can get much louder without losing centre-channel distinction or allowing any disruptive bleeding of the sound mix. A down-firing bass driver prevents a subwoofer’s sound output from interacting with nearby walls, causing unwanted reflections and muddying the sound. Instead, the Cinema 300’s subwoofer interacts principally with your listening room’s floor, delivering a world of bass that delights the senses. The Cinema 300’s speakers feature our exclusive Weave design, which makes them look less like speakers and more like a part of your room’s décor. Dynamic in appearance, this sculpted, high-gloss design stands out while simultaneously blending in with your own sense of style. 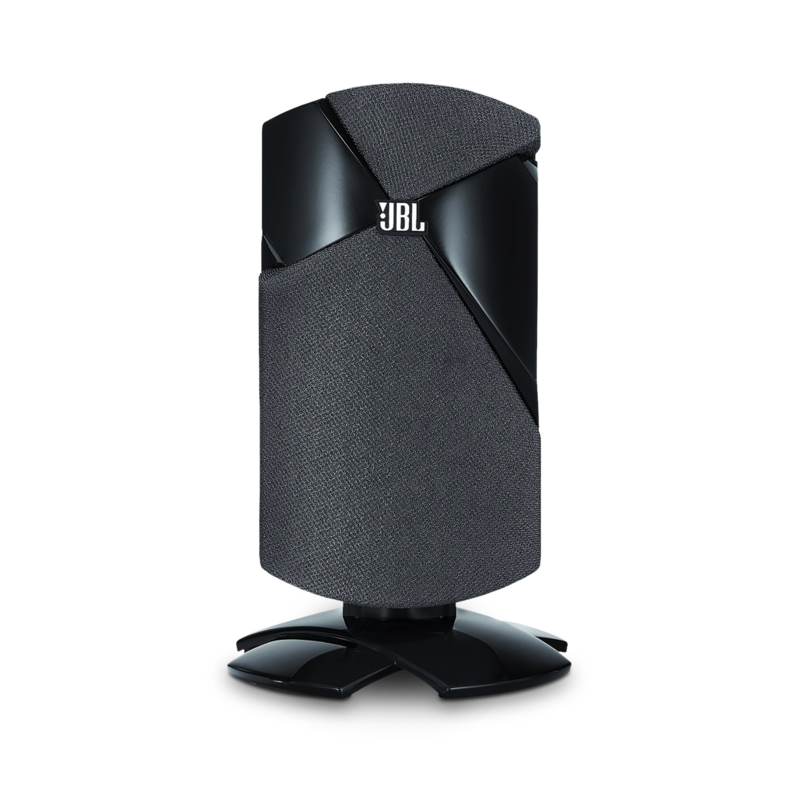 Astonishingly small, the JBL® Cinema 300 home theatre speaker system provides a feel-it-in-your-chest movie theatre experience. The combination of a dual-midrange centre-channel speaker, four matching satellite speakers and a 150-watt subwoofer creates a powerful home theatre experience from a deceptively small package. The JBL engineering that creates the speaker systems used in the world’s most amazing movie theatres now delivers the same quality of surround sound for a compact home system. From dialogue that is crisp and accurate replayed from voice-matched centre and satellite speakers to floor-rumbling bass via a 150-watt subwoofer, the JBL Cinema 300 system makes your living room feel more like a top-of-the-line movie house.